Building work has now been completed on four energy-efficient prototype homes, which aim to dramatically reduce bills for heating and hot water. 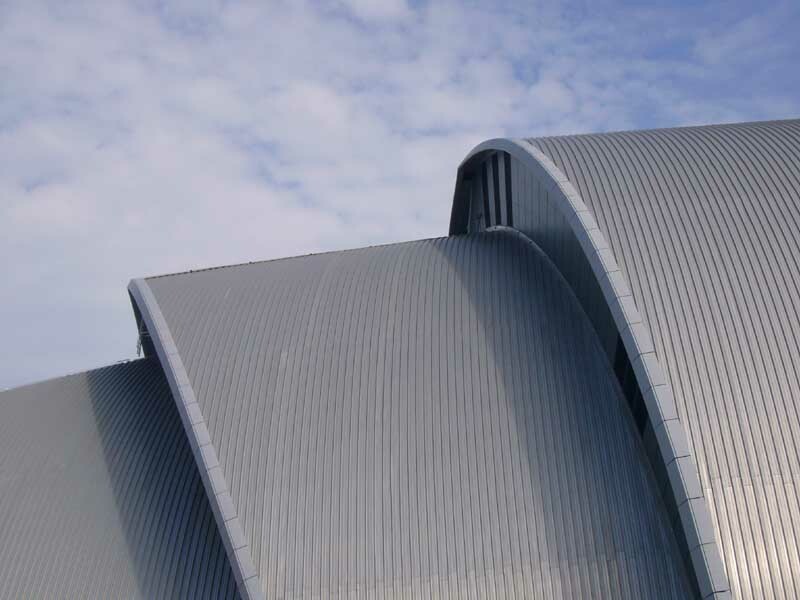 Glasgow Housing Association (GHA) teamed up with architects PRP and contractor City Building to build the prototypes, known as ‘The Glasgow House’, which feature high standards of insulation, coupled with low energy running costs and simple technology. The homes aim to tackle fuel poverty head-on and to play a key role in reducing the impact on the environment. A typical three-bedroom home in Glasgow would usually cost around £1100 per year to heat but the Glasgow House aims to dramatically reduce this. Alex McGuire, GHA’s Director of Development and Regeneration, said: “The Glasgow House is no longer just an idea – it is now a development with a real future. “This simple, cost-effective design for an energy-efficient home will help families enjoy a better quality of life. The prototype homes have been built using locally-trained workers and apprentices, via our partner, City Building. GHA already provides some of the lowest cost social housing in Glasgow and now we want to provide the best and greenest housing which benefits our tenants and the environment. Similar in appearance and performance, the two blocks of semi-detached homes have been built in alternative forms of wall construction. House Type One has a thin-bed insulating hollow clay block construction with external wall insulation and render finish, while House Type two comprises a highly-insulated, locally-sourced timber frame with pre-manufactured floor and roof cassettes, with external walls in facing brick. – Educating residents on how best to benefit from special features of their homes. 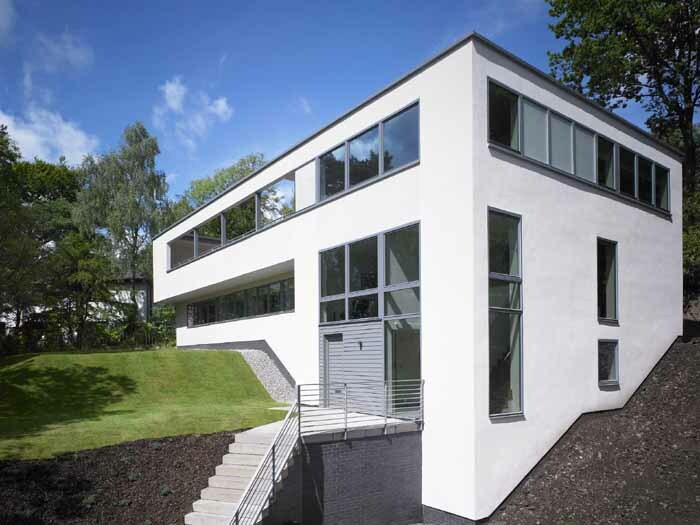 Stuart Carr, of PRP Architects Ltd comments: “We are very pleased with the results of the Glasgow House, which has been possible due to the high quality control by City Building throughout the construction process. PRP has focused on construction forms which best address the issues of fuel poverty whilst embracing the broader global warming debate. 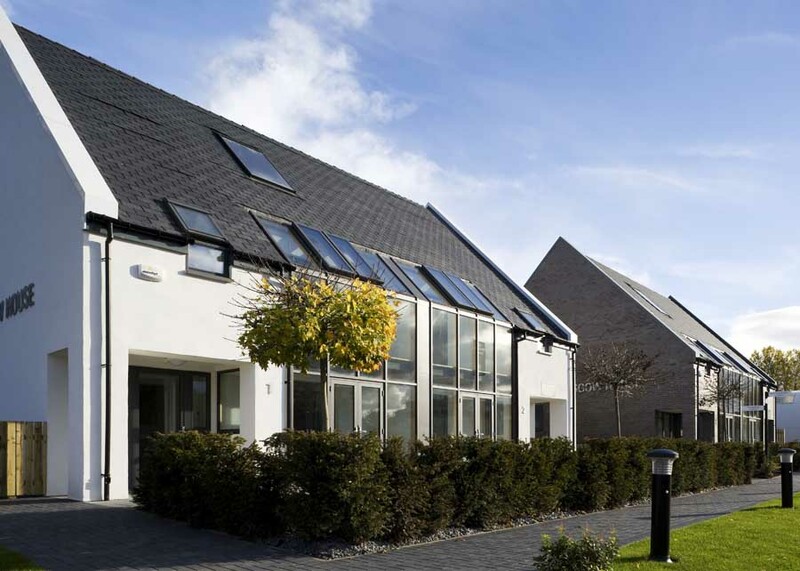 We have therefore designed very energy efficient, sustainable houses which have a stylish appearance likely to appeal to GHA’s tenants, as well as private house owners. 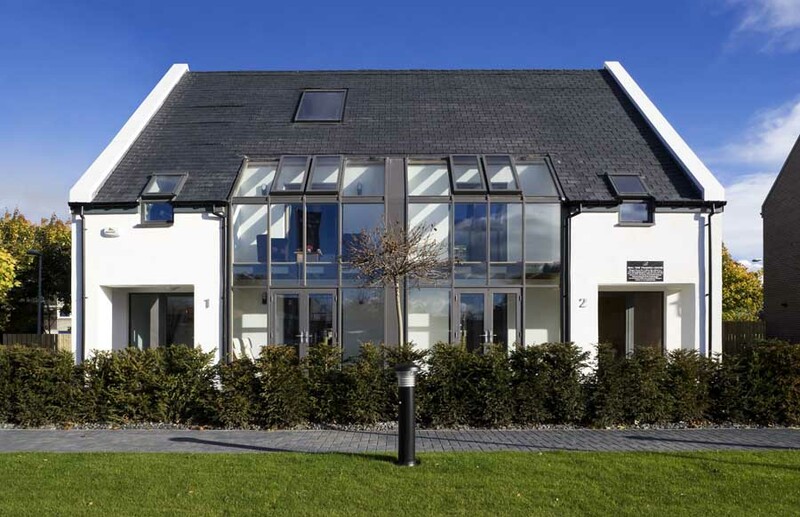 *Both the masonry block and the timber frame block passed the air tightness test – 4m3 per hour per m2 at 50 pascals, was the anticipated result for both homes. The masonry build came out at 3.02m3/(hr.m2) and the timber frame build came out at 3.47m3/(hr.m2) at 50 pascals. – Since Stock Transfer in 2003, GHA has invested more than £982 million in refurbishing, modernising and improving homes across the city, making them warmer, safer and drier by overcladding and re-roofing properties, as well as installing new central heating, kitchens, bathrooms, doors, windows and wiring. – Phase 2 of GHA’s new-build programme is well underway, and will see 414 new homes built at nine sites across Glasgow. The first phase saw 259 homes built in the north of the city. – GHA is a not-for-profit organisation and a registered charity, monitored and regulated by the Scottish Housing Regulator. City Building is one of Scotland’s largest construction companies. With turnover of almost £200 million, City Building was established in 2006 from the former Building Services Department of Glasgow City Council. It receives no public funding for trading operations and has delivered more than £21 million in cash surplus over the last three years, which was passed to Glasgow City Council for investment in front line services. Its award-winning Queenslie Training Centre and Construction Skills Academy are the most successful apprentice-training centres in Scotland. City Building also operates Royal Strathclyde Blindcraft Industries (Blindcraft), which employs over 260 people, more than 50 per cent of whom have a disability.